JAMES E. YAVORCIK is a partner at Cubbon and Associates and has been with the firm since 1987. He was admitted to practice in Ohio in 1979 and is also admitted in the Michigan and Federal courts. Jim is board certified as a Civil Trial Advocate by the National Board of Trial Advocacy. Prior to joining Cubbon and Associates, Jr., was an assistant Lucas County prosecutor, and also has been appointed special prosecutor in Van Wert and Lucas County on fraud, theft, and homicide cases. 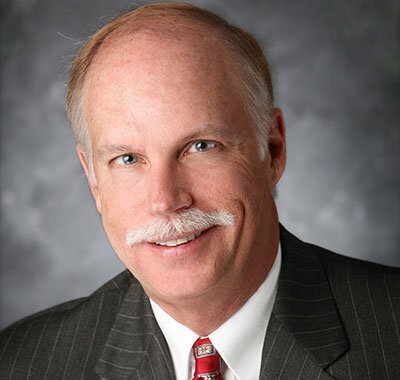 Jim is a past president of the Toledo Bar Association and the Toledo Area Trial Lawyers Association. He formerly served as a Trustee for the Ohio Association of Justice and is a member of the American Association for Justice. He is also a member of the Ohio State, Lucas County, and Michigan bar associations. Jim is a member of the Million Dollar Advocates Forum and is listed in The Best Lawyers in America. He was selected as one of the top 100 trial attorneys in Ohio by the American Trial Lawyers Association and has been listed as an Ohio Super Lawyer in the field of personal injury law for the past nine years. Jim has been selected by his peers to be included in the most recent edition of The Best Lawyers in America in the area of Personal Injury Litigation-Plaintiffs had was named the 2017 Toledo Lawyer of the Year in the personal injury field. As part of the firm's commitment to continuing legal education, Jim has lectured extensively across Ohio on topics including jury selection, evidence, medical malpractice, settlement negotiation, and professionalism. He has extensive trial and appellate experience, including oral argument before the Ohio Supreme Court on an insurance coverage dispute stemming from a bus crash involving the Bluffton University baseball team. When not practicing law, Jim can be found practicing guitar and bass and has played with various musical groups in Toledo. He also enjoys golfing and following the Ohio State Buckeyes. Jim is married to Barbara Culpert Yavorcik, an electrical engineer who is involved in advocacy efforts for autistic individuals in Ohio. They have two grown children, Carin and Michael.